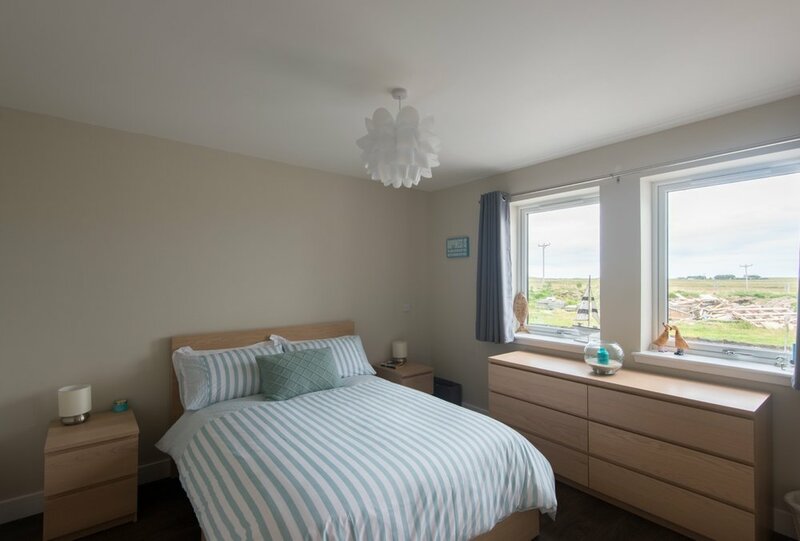 Aurora is a new build house designed for a young local couple who had purchased land in order to build their first home together. The house was designed in conjunction with sister property 'The Walton' on the plot that would be owned by their parents/in-laws. The site is located adjacent to the long white sandy beach of Gott Bay and consequently the two houses were positioned so that each property could enjoy uninterrupted views to the sea. 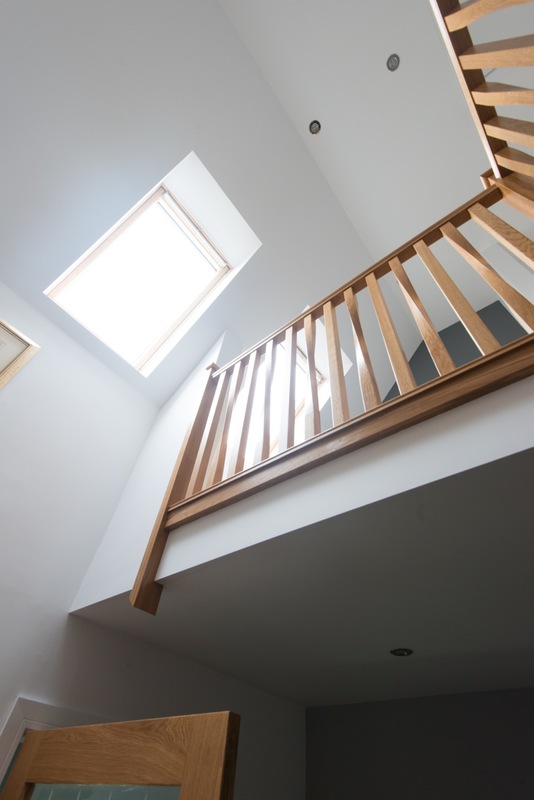 The brief established that our clients were looking for a large volume of space within the house design. Knowing the area, we understood that traditional white houses are ubiquitous in this part of the island. We undertook a comparative study of gable wall widths, dormer windows and porch styles in the surrounding area to ascertain how we could produce a design that shared similar proportions to neighbouring traditional homes and therefore looked as though it belonged on the site. Rather than design a house that was uncharacteristically large for the area, we developed a design that would look like a traditional white house which had been extended in time. This helped to break down the overall size of the house and helped it to fit in with the more traditional house typologies surrounding the site. The completed house features a raised living room providing elevated views over Gott Bay. 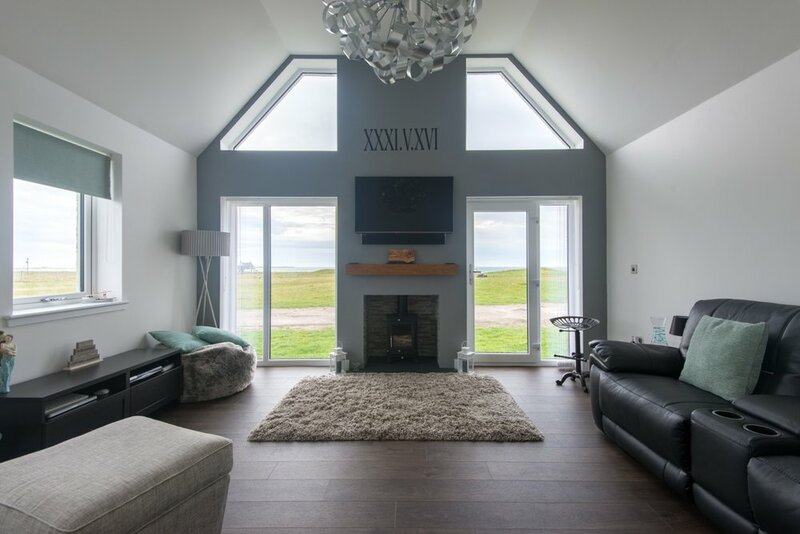 Whilst having the characteristics of a traditional white house on the exterior, the interior by contrast is bright and spacious with open plan kitchen/dining space and underfloor heating. 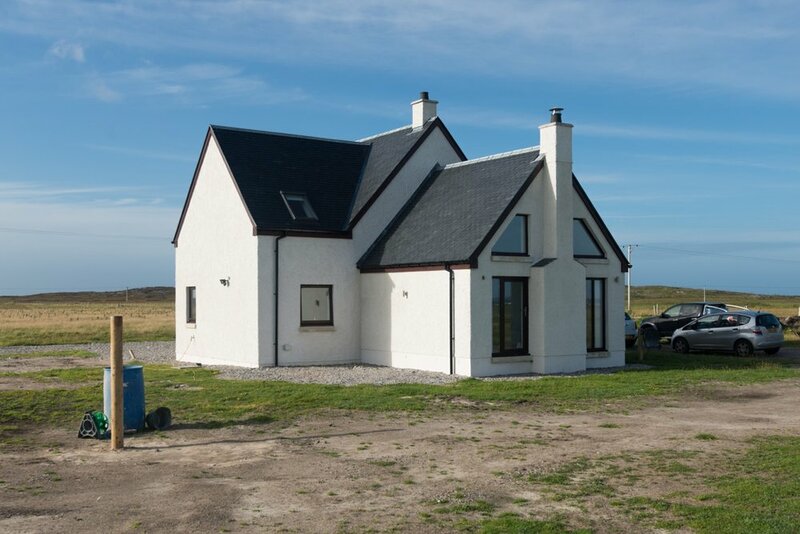 Roots supported us throughout our project to build our new home on Tiree. Building a house was new to us both and we had no idea where to start. Thankfully Micheal and his team were always on hand to keep us moving in the right direction. We could not have done it without their professional knowledge and help. We were always impressed with their almost immediate responses to email queries and phone calls.